Quick surface seal, protection against humidity or dehydration, suitable for all kinds of GIC's. 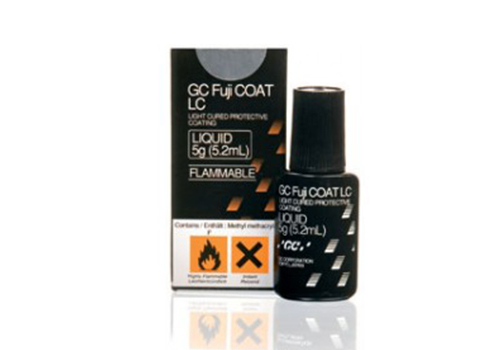 Apply GC Fuji COAT LC with a pellet or brush to all exposed glass ionomer. Light cure for 10 seconds using suitable light curing device.